UU A Way Of Life: Ask Alexa - What is a seeker? Ask Alexa - What is a seeker? 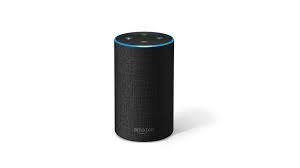 Alexa: I was asked if I am a seeker and wondered what this is. A seeker is a person who has left the path of the ego and turned onto the path of the spirit seeking truth and meaning in the Ground Of Being or as Unitarian Univeralists put it, in the Interdepedent Web Of Existence of which everything is a part. According to an article in The Onion, "Seek Funding" has been added to the scientific method. "Without funding, research departments in America's Universities would be dead in the water," said Zachary Nelson, a Ph.D. student in biochemical engineering at Rosehill College. "The pharmaceutical companies only want to invest in research that will produce a top selling pill. We are working on Videx right now which will be used to treat gaming addiction. It has potential for being a billion dollar winner." Zachary added that Videx also might be helpful to Holy Rollers who become addicted to religion. "They think they see things, and know things that are pretty delusional," said Zachary. "There delusions become very systematized and addicting. There is some preliminary clinical trials that demonstrate that Videx can ease their compulsive thinking so they don't have to proselytize constantly."